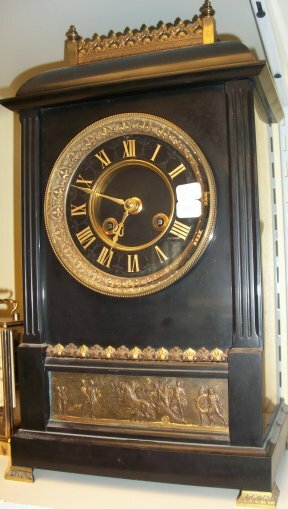 This is a French black onyx mantle clock, it is very heavy. It has an 8 day time and strike pendulum movement. 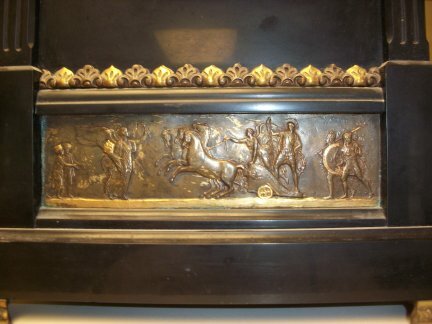 Close up view of the black onyx face. 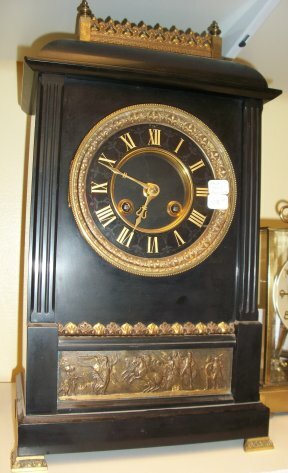 Side view of the clock, notice the fencing on the top of the clock. 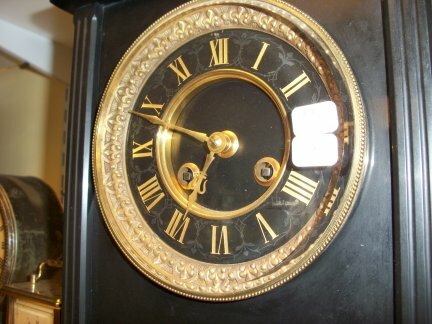 This is the beautiful bottom front of the clock.